Discussion in 'iPhone and iPad Games' started by antony.thai, Dec 8, 2016. Alone in the glittering galaxy, Mr. Catt drifted. You will help him move forward with encourage, to break through many difficulties, and eventually find its spiritual destination. Mr. Catt will bring you to a fantasy journey. It integrates the combination pleasure in building block game and match game, uses beautiful colors to portray the galaxy in a very touching way; so it let the players to fully immerse themselves in it. Inumerable stars await to be lightened by candles, and they come alone with you in the trip as gorgeous as firework. Come and eliminate the combo blocks, collect the star lights you need and lead Mr. Catt to set forth to his spiritual destination. 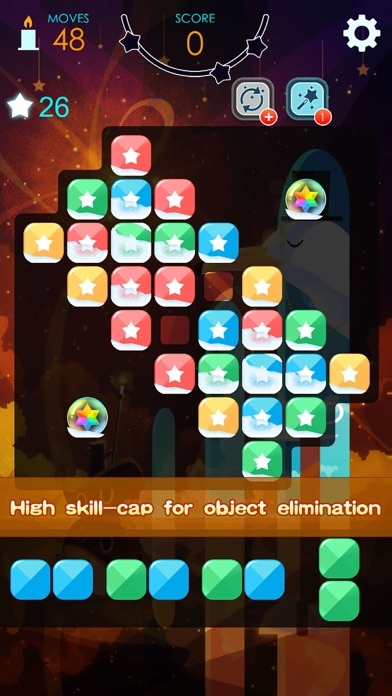 Different from general matching games, in this game you need to combine the blocks into a certain eliminatable shape by proper engagement, and then use the special effect of the combination to eliminate the stars; it will have a more powerful game experience. In this game, it has designed plenty of heartwarming details, we hope you could find them and enjoy them. 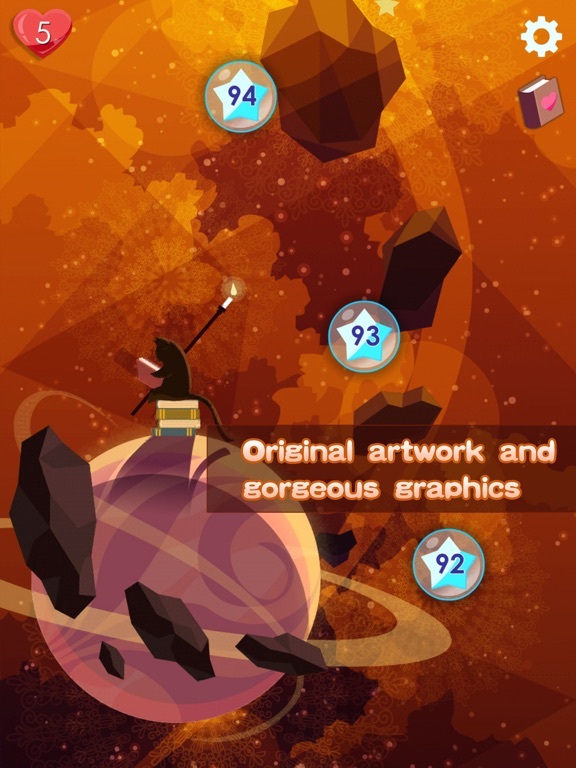 The most aesthetic art style at the moment, illustrators make it with their full heart to show the gorgeous and colorful of the galaxy, the fine textures and the animations bring tons of fun for you in the game. Through various stages, players will adventure with Mr. Catt and get a lot of valuable memeries together in the galaxy. Thirty percent succeed by luck， Seventy percent earned by wisdom. Do you still think elimination games as ""headless tapping or sliding"", come to try MR CATT. Slow yourself down and take thoughtful moves, you'll be engaged by this addictive game deeply. The game won the Silver Award and the Best Music and Sound Effect Award at Bahamut ACG 2016. Catt is traveling alone through the Milky Way. Help him overcome various difficulties while he finishes his journey. You will travel through a fantastic puzzle game world which blends together critical thinking elements and block elimination gameplay. A large number of elaborately designed stages are available. In every stage, you need to think carefully to eliminate as many objects as possible when combining blocks. There is one unique way to clear each stage. The game designers have created a splendid game world in the Milky Way. Throughout the galaxy, there are numerous celestial bodies available for you to light up. They will act like dazzling fireworks through your journey. Combine blocks and eliminate them. 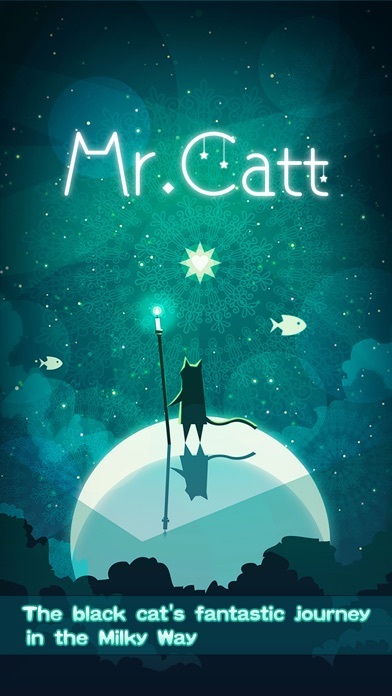 Collect suns, stars, and moons to help Catt while he bravely pursues the white cat. 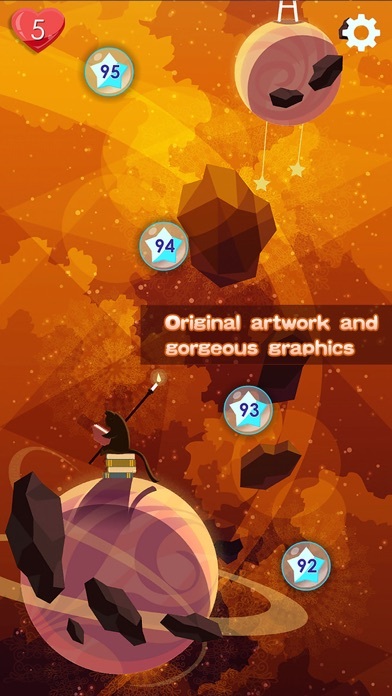 Artistic The game's graphics include exquisite and artistic pictures, and the carefully composed music and sound effects will make you lose yourself in the fantastic game world. 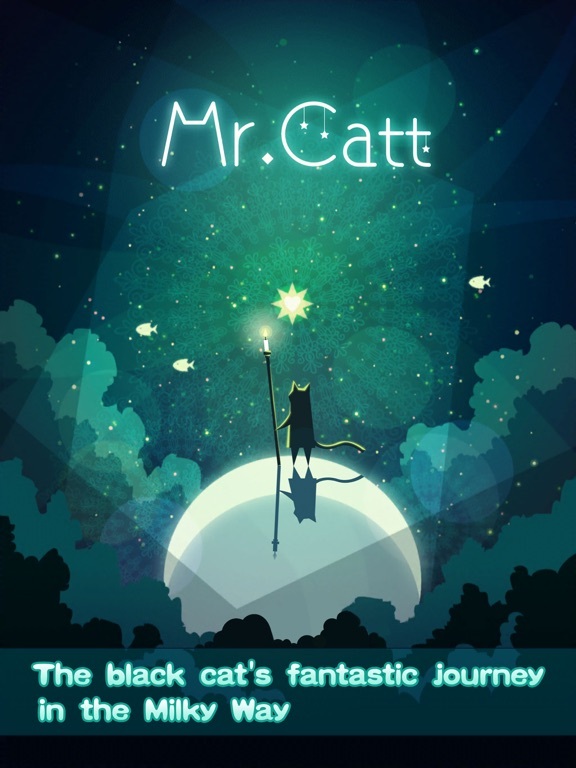 Storyline The black cat will join you as you embark on a memorable journey together through the Milky Way in search of the white cat. Details A rich variety of fun and appealing details can be found throughout the game's many areas. 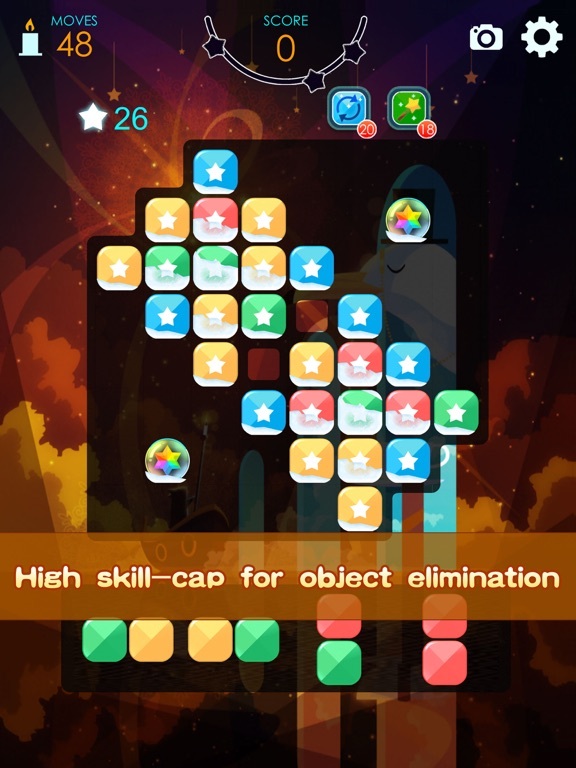 Gameplay Careful block positioning and calculation are required to create special elimination effects. “Mr. Catt” will bring you to a fantasy journey. It integrates the combination pleasure in building block game and match game, uses beautiful colors to portray the galaxy in a very touching way; so it let the players to fully immerse themselves in it. Looks good, if it's not free to play with timers then I'll grab it! The game is great, lovely story and very polished, but no way to pay a "premium iap"? I would really love to pay to unlock the entire game, please add that option and I'll pay for it. This is interesting to play. 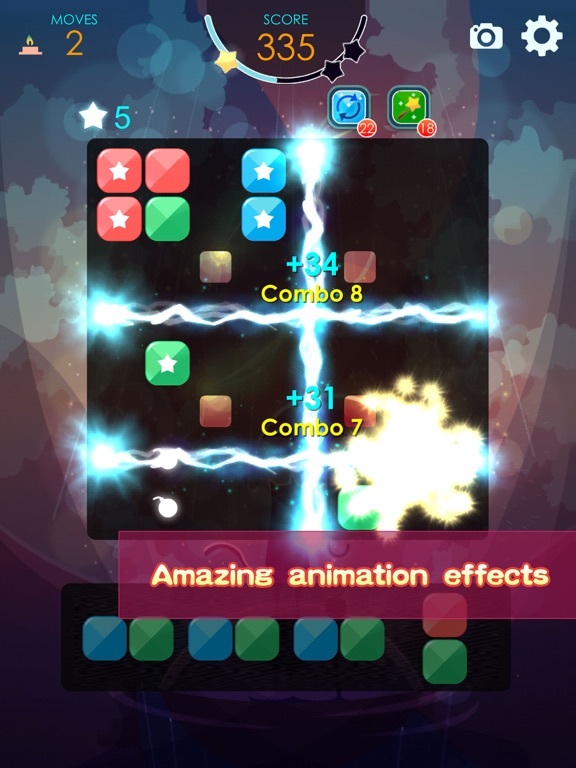 A combination of match-3 and tetris that works really well together. 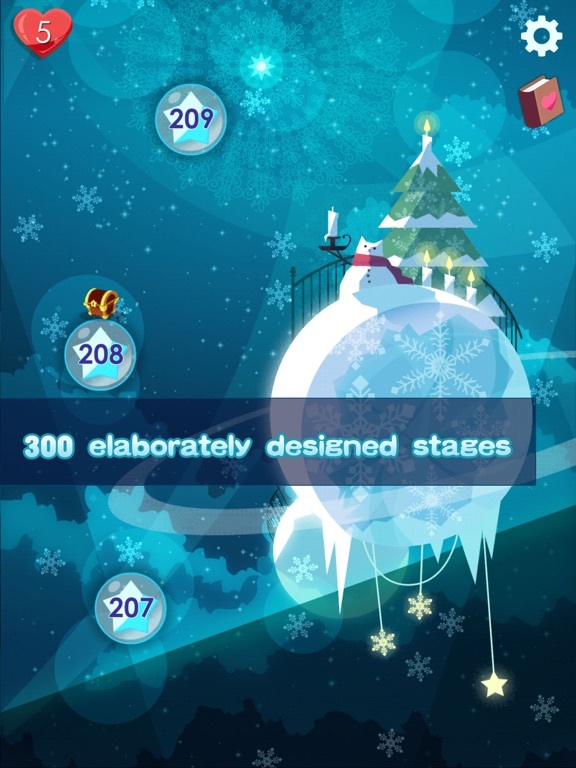 Plus there are other effects and bonuses which reward careful planning of each level. All wrapped with a fine story and top notch presentation. 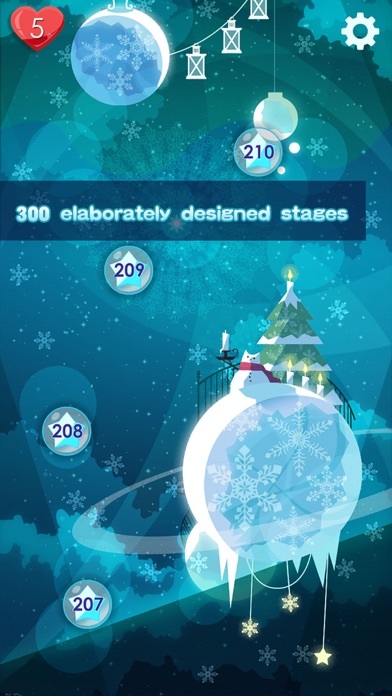 Nice Christmas levels too. Glad I found this one. Haha~Thanks for loving Mr. Catt so much~ We will consider your advice in our future update. 1. Collect over three blocks in the same color horizontally or vertically to form a combo, the more the better. Have you noticed that Mr. Catt recently meets a significant update on iOS/GP? I have to say that the new version is really amazing, making the game itself more addictive and pleasant. 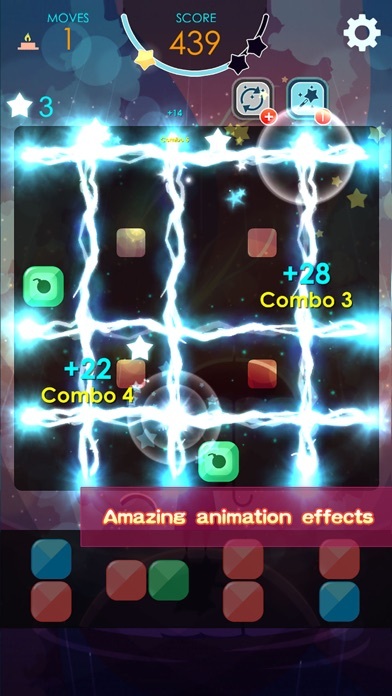 In the new version, 5 more stages are added in each chapter, and stages can be passed more easily by using hearts and items. Meanwhile, the unlocked chapter can be unlocked by finishing the previous one or spending gold coins. Graphics are further optimized, offering players a more pleasant gaming experience. I am sure you will enjoy every moment of Mr. Catt!